We have said goodbye to the amazing Summer and now we are looking forward to an action-packed Autumn at West Hill Hall. We start the total refurbishment of the toilets in October. This major work is to be carried out by our two favourite apostles from Skydec, Simon and Peter. We are truly grateful for two donations that will go some way to help with the substantial costs of the work. First, we have been given a discretionary grant of £500 from Brighton & Hove Council, arranged by local councillor, Lizzie Deane. Second, while Hall manager/administrator Colette was sourcing equipment, she asked Brightwell Dispensers in Newhaven for prices on certain items. Their answer was to donate nearly £400 worth of equipment. Amazing! We are skipping the Christmas Social this year but have three events coming up, as well as the increasingly popular monthly Quiz, where we had a capacity house in July, and put the FUN firmly into fundraising. 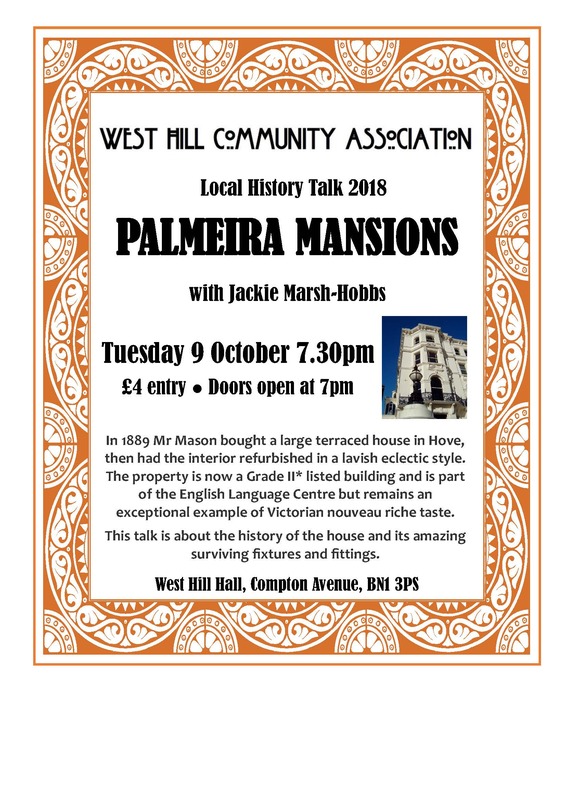 On Tuesday 9 October we continue our local history talks, with Jackie Marsh-Hobbs giving us an insight into the history of Palmeira Mansions. On Saturday 24 November a Grand Christmas Sale will be held in the Hall between 10am and 3pm, with stalls offering a mixture of craft, gifts, books and bric-a-brac. 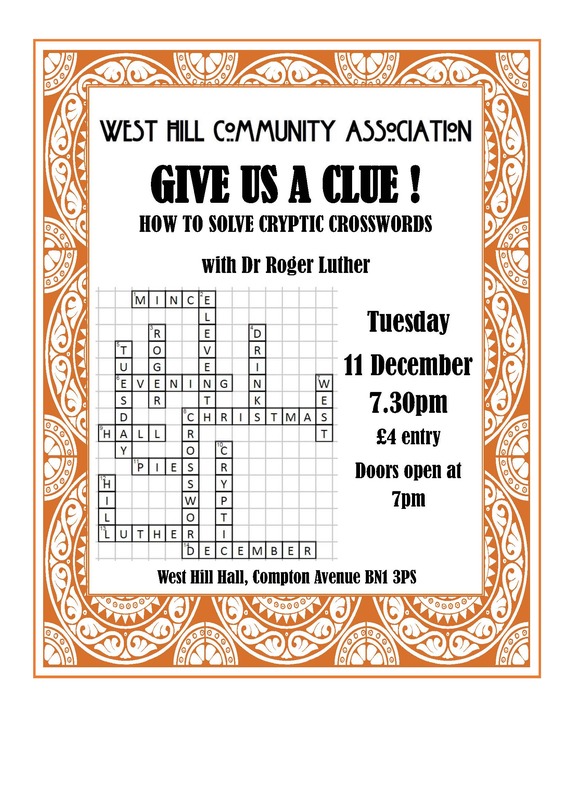 On Tuesday 11 December Roger Luther is going to help us to solve cryptic crosswords. We want to keep West Hill minds ticking over into the holiday season so come and share some early festive cheer and delve into the tricks and tips to crack any cryptic clue. 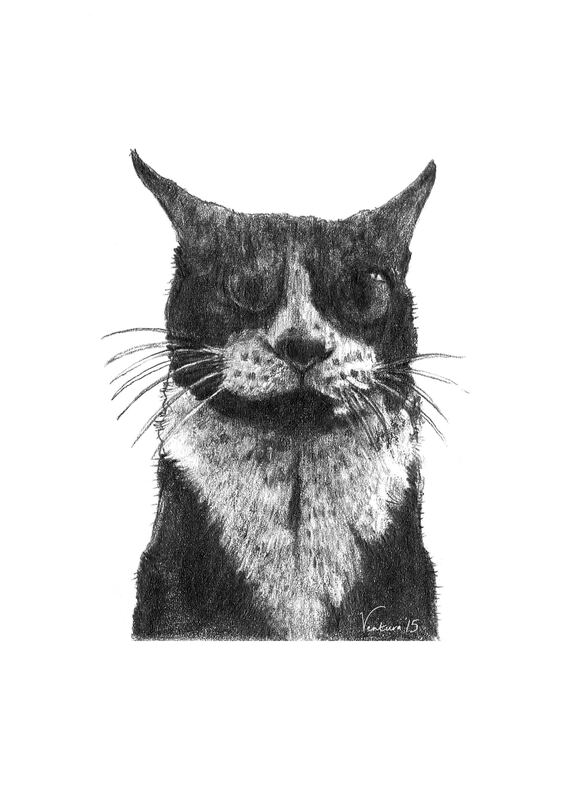 We had a phenomenal response to the Sam Toft Colour-In competition: all entries can be seen on westhillwhistler.wordpress.com.